The reasons for Atlanta’s housing woes are both representative of the nation’s troubles and special to this former boomtown, where housing appreciated handsomely, though not to the lofty heights of Las Vegas, Miami and New York. Where the region once attracted thousands of prospective home buyers drawn by plentiful jobs and more affordable living, that influx has dwindled. Local unemployment, at 9.2 percent, is slightly higher than the national rate, in part because one in every four jobs lost was connected to real estate, a much higher rate than in the rest of the country. Those jobs have yet to return, while even people with work are having trouble qualifying for loans. The region, plagued by mortgage fraud and developers who dotted the exurban landscape with large luxury homes that never sold, is inundated with foreclosed properties. In fact, Atlanta has the most government-owned foreclosed properties for sale of any large city, according to the Federal Reserve. The difference between the dachshund’s diminutive body and the Rottweiler’s massive one hangs on the sequence of a single gene. The disparity between the dachshund’s stumpy legs—known officially as disproportionate dwarfism, or chondrodysplasia—and a greyhound’s sleek ones is determined by another one. The same holds true across every breed and almost every physical trait. In a project called CanMap, a collaboration among Cornell University, UCLA, and the National Institutes of Health, researchers gathered DNA from more than 900 dogs representing 80 breeds, as well as from wild canids such as gray wolves and coyotes. They found that body size, hair length, fur type, nose shape, ear positioning, coat color, and the other traits that together define a breed’s appearance are controlled by somewhere in the neighborhood of 50 genetic switches. The difference between floppy and erect ears is determined by a single gene region in canine chromosome 10, or CFA10. The wrinkled skin of a Chinese shar-pei traces to another region, called HAS2. The patch of ridged fur on Rhodesian ridgebacks? That’s from a change in CFA18. Flip a few switches, and your dachshund becomes a Doberman, at least in appearance. Flip again, and your Doberman is a Dalmatian. Sheltered from the survival-of-the-fittest wilderness, those semidomesticated dogs thrived even though they harbored deleterious genetic mutations—stumpy legs, for instance—that would have been weeded out in smaller wild populations. Cornell researchers studying the degenerative eye disease retinitis pigmentosa—shared by humans and dogs—found 20 different canine genes causing the disorder. But a different gene was the culprit in schnauzers than in poodles, giving researchers some specific leads for where to start looking in humans. Meanwhile a recent study of a rare type of epilepsy in dachshunds found what appears to be a unique genetic signature, which could shed new light on the disorder in us as well. Here is the link to the Cornell genetic diversity project in dogs. I think, for serious readers, a sense of permanence has always been part of the experience. Everything else in your life is fluid, but here is this text that doesn’t change. But I do fear that it’s going to be very hard to make the world work if there’s no permanence like that. That kind of radical contingency is not compatible with a system of justice or responsible self-government. I understand where Franzen is coming from, and I used to be in the same camp as he is now (i.e., I wouldn’t read any e-books). But ever since I finished reading Walter Isaacson’s biography of Steve Jobs on my iPhone, I’ve become more warm toward reading books on digital devices (I have still yet to get a Kindle, however). Maybe nobody will care about printed books 50 years from now, but I do. When I read a book, I’m handling a specific object in a specific time and place. The fact that when I take the book off the shelf it still says the same thing – that’s reassuring. Yes, the concept of being reassured that the text hasn’t changed is wonderful. But he neglects dynamic titles that can be updated over the years (think introductions and forewords to texts). My feeling is that Franzen’s thoughts on e-books will become more malleable (i.e., sympathetic) in the next few years. It certainly takes time, as was the case with me. From whoopensocker to upscuddle, strubbly to swivet, 50 years after it was first conceived the Dictionary of American Regional English is finally about to reach the end of the alphabet. The fifth volume of the dictionary, covering “slab” to “zydeco”, is out in March from Harvard University Press. It completes a project begun in 1962 at the University of Wisconsin-Madison, when Fred Cassidy was appointed chief editor of a dictionary of American dialects. Cassidy spent several years crafting a 1,600-question survey covering all aspects of daily life, and in 1965, 80 fieldworkers set out in “word wagons” to 1,002 communities across the US, interviewing 2,777 people over six years. This information has been mapped by editors over the last 40 years with written materials dating from the colonial period to the present, creating a 60,000-entry dictionary that its chief editor says gives the lie to the popular myth that American English has become homogenised by the media and the mobility of America’s population. 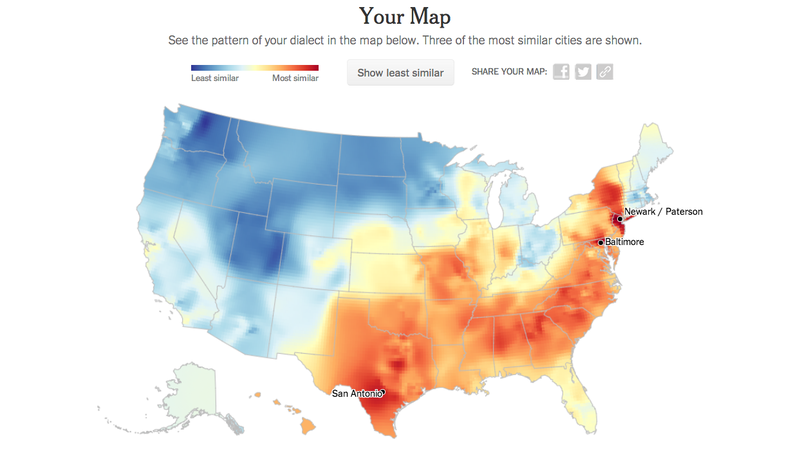 DARE can tell you where people might live if their favorite card games are euchre, five hundred, schafskopf, sheepshead, or sixty-three; or where Americans eat apple pandowdy, lutefisk, or rivel; or where people are from if they live in dog trots, railroad flats, salt boxes, or shotgun houses. The language of our everyday lives is captured inDARE, along with expressions our grandparents used but our children will never know. Based on interviews with thousands of Americans across the country, as well as on newspapers, histories, novels, diaries, letters, government documents, and other written sources, the Dictionary of American Regional English presents our language in its infinite variety. For the serious word lover, this dictionary is a must on your bookshelf. You can pre-order the dictionary here. Combined with the fact that these jobs tend to be higher-paying than anything else available, and we’ve got a recipe for young people to pass opportunities in technology, public service, and the like. This New York Times piece sheds some data on percentage of people from Ivy League schools that directly entered finance jobs. For example, those graduating from Harvard were more likely to enter finance than any other career (in fact, 17 percent of new grads did so in 2010, which is down from 28% in 2008, just before the financial crisis). In case you are wondering, Room 237 is a reference to a haunted room in the hotel, though the NYT piece attests that we still won’t learn what The Shining is after watching the film. Related: Wikipedia has an extensive section of The Shining in popular culture. The WSJ notes that of the most intriguing trends in homebuilding these days is do-it-yourself tiny homes. And there are books aplenty to match this enthusiasm. 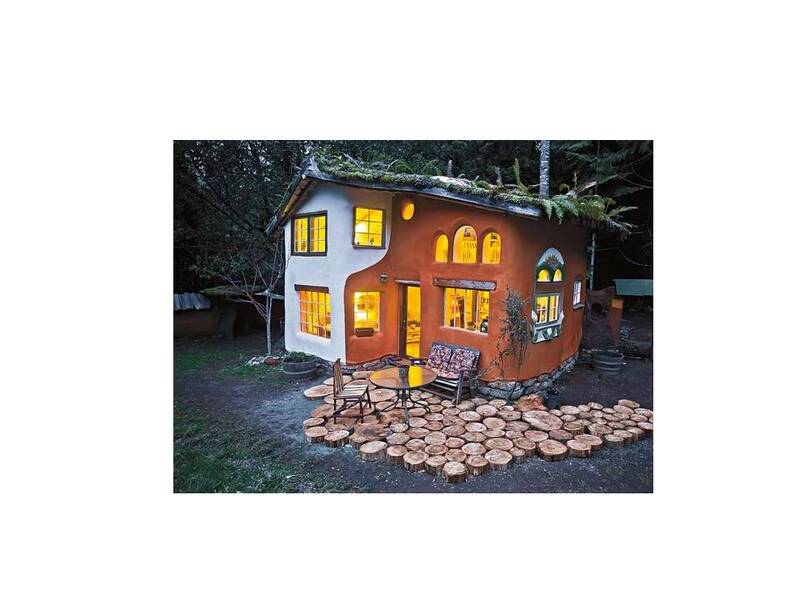 Among the first on the market this year is Lloyd Kahn’s Tiny Homes, essentially a photo book that preaches the benefits of a “grassroots movement to scale things back.” It has already sold 5,200 copies in the U.S. and Canada since going on sale earlier this month. What I’m saying with this new book is don’t get a mortgage, don’t pay high rent, and don’t go into debt…If you’re young enough or you’re just starting out and don’t want to work 12 hours a day, here’s an alternative. Good trivia: Lloyd Kahn made his first splash in publishing by editing the “shelter” section of the Whole Earth Catalog in the late 1960s, a collection of tools and ideas later much praised by the late Steve Jobs.